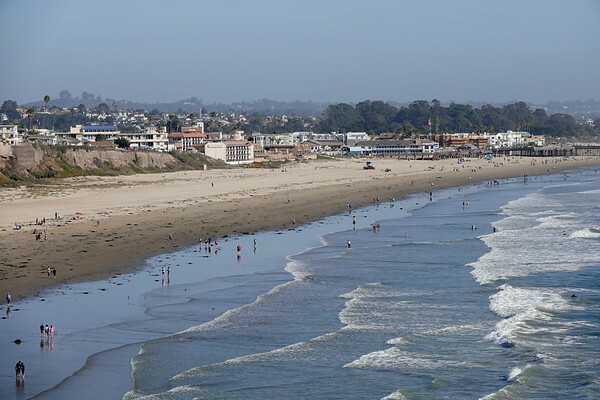 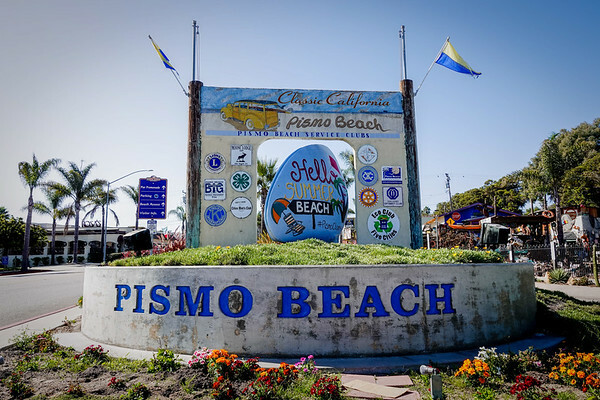 Pismo Beach is a tiny little hamlet on the central California coast, roughly half way between Los Angeles and San Francisco, off highway 101. 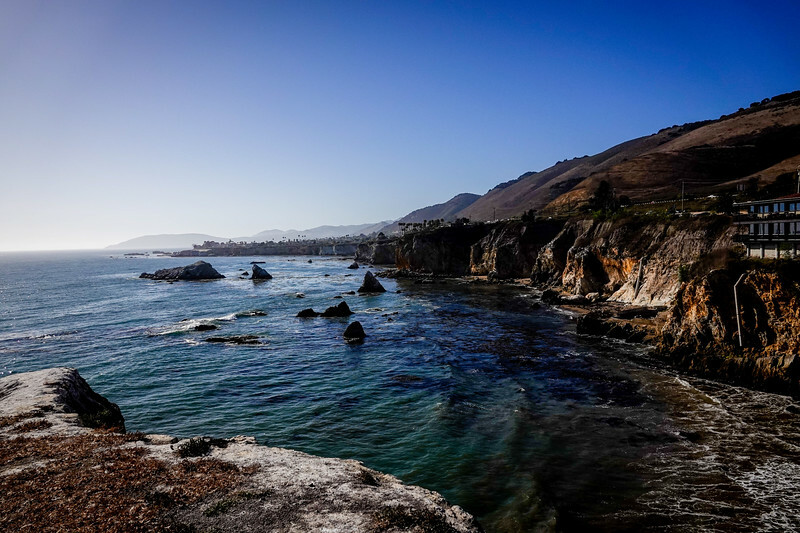 It's a fun place to stop to enjoy the dramatic cliffs and caves, the 18 miles of undeveloped coast, super walkable--and drivable beaches. 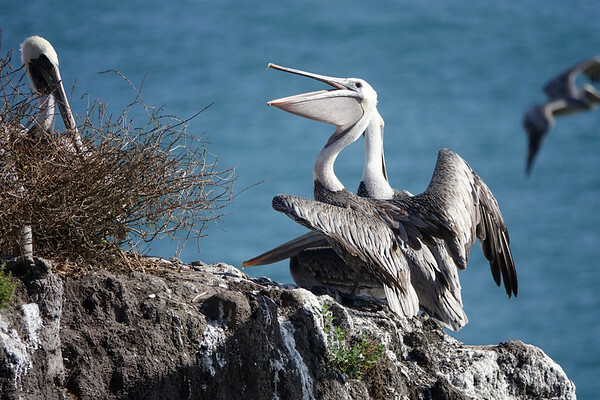 It's also a photographer's paradise, and you'll be able from the above #Photowalks video and gallery below. 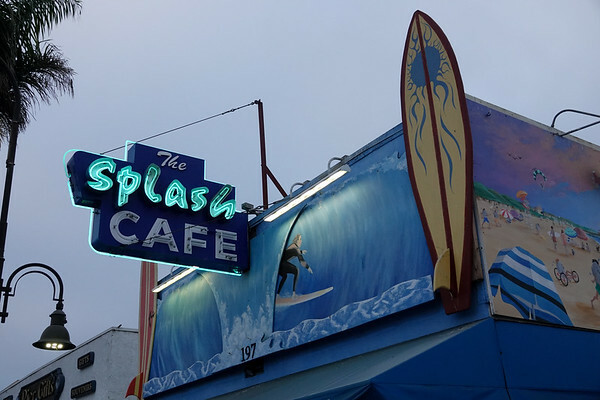 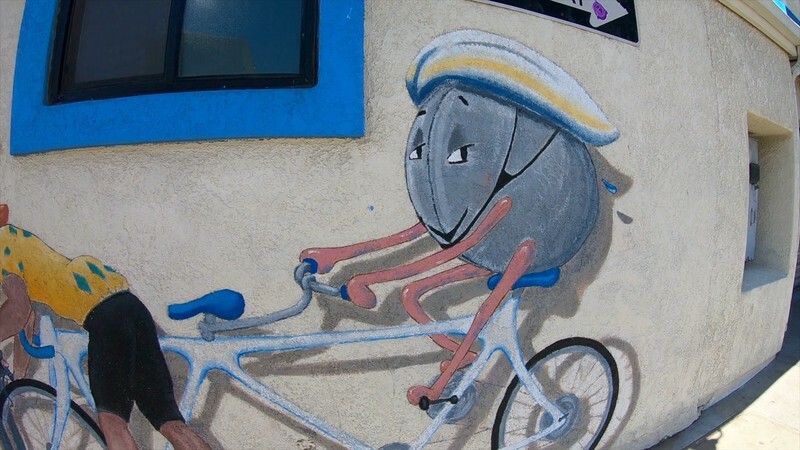 Mural on the side of the famed Splash Cafe in Pismo Beach, CA, from when clams were king. 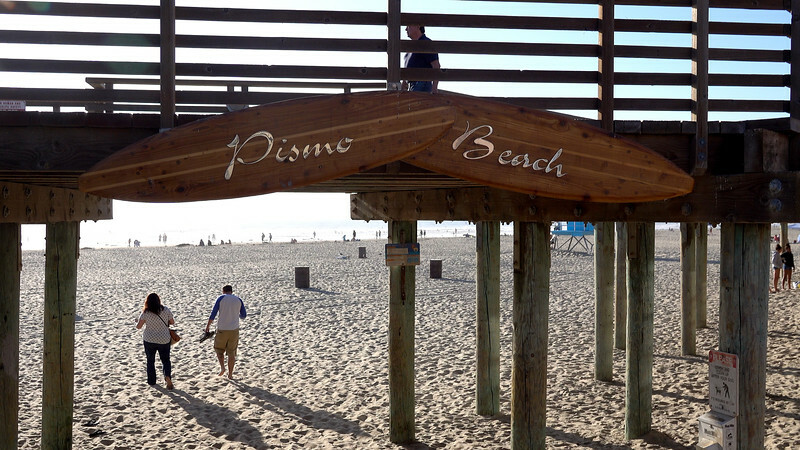 Welcome to Pismo Beach, the central California coastal town of 8,000 people, known for 18 miles of wide undeveloped coast,. 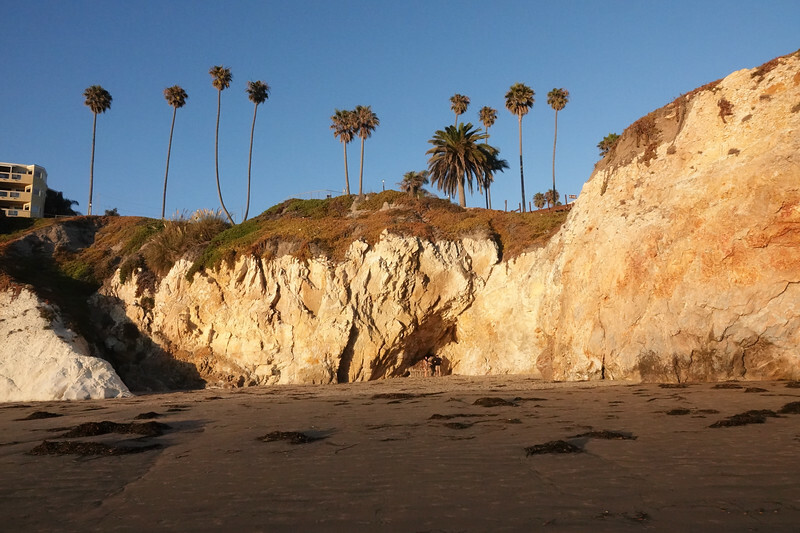 drtamatic cliffs and caves and the ability to drive your car on the sand. 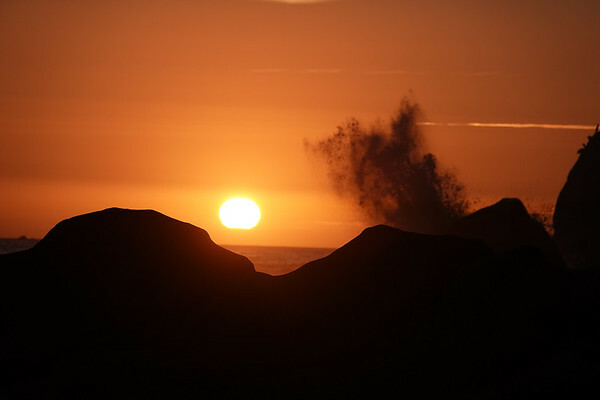 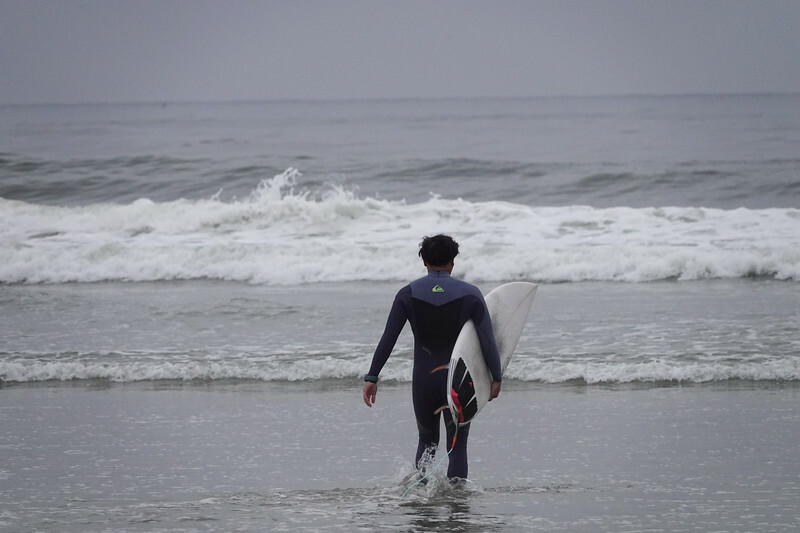 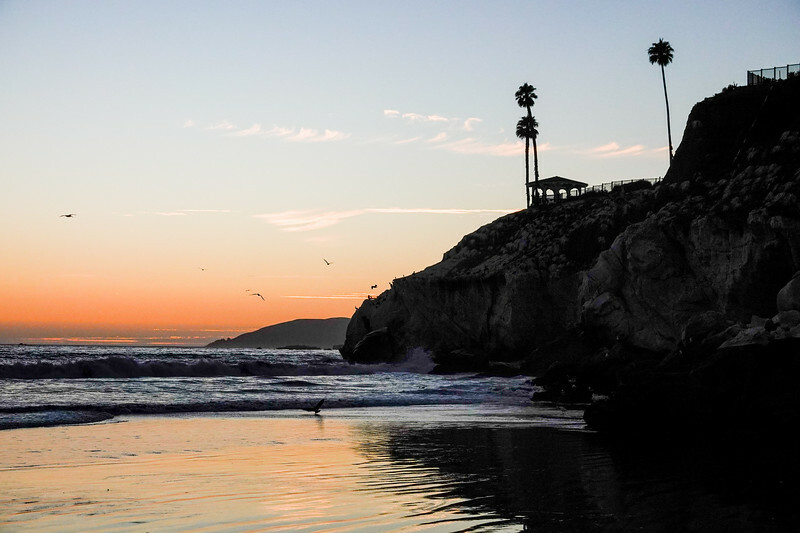 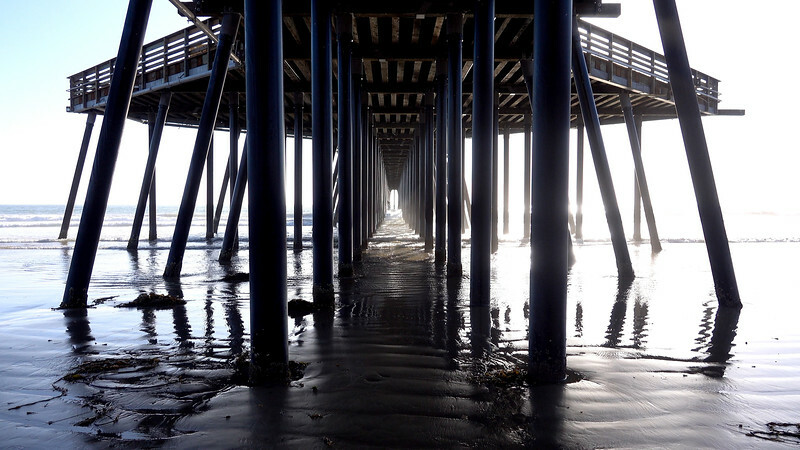 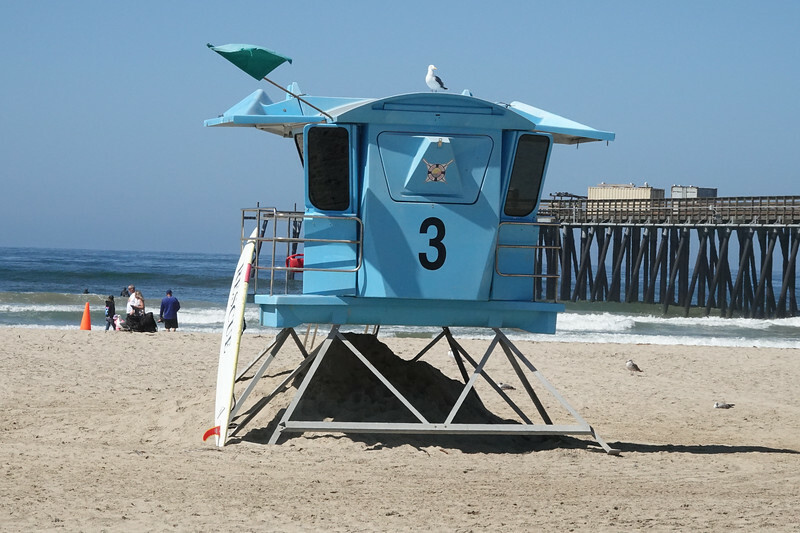 Join us for a Photo Tour of Pismo Beach. 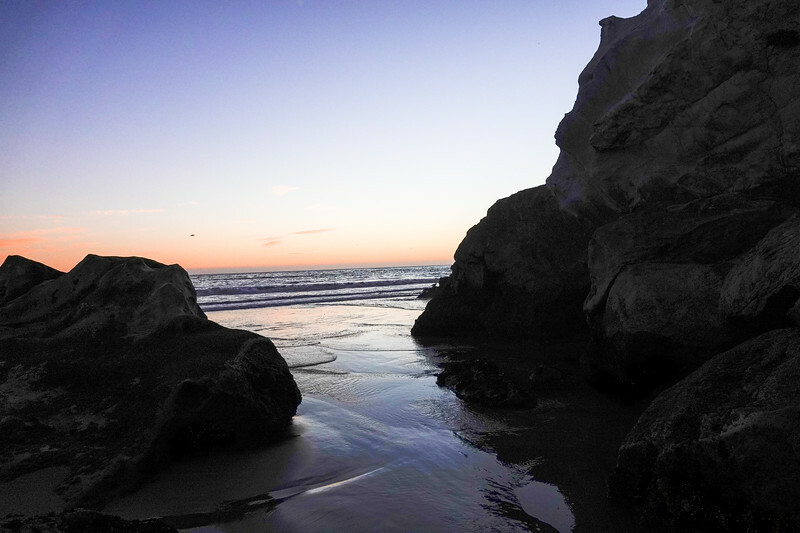 A view of the wide sands of Pismo Beach, from a nearby cliff. 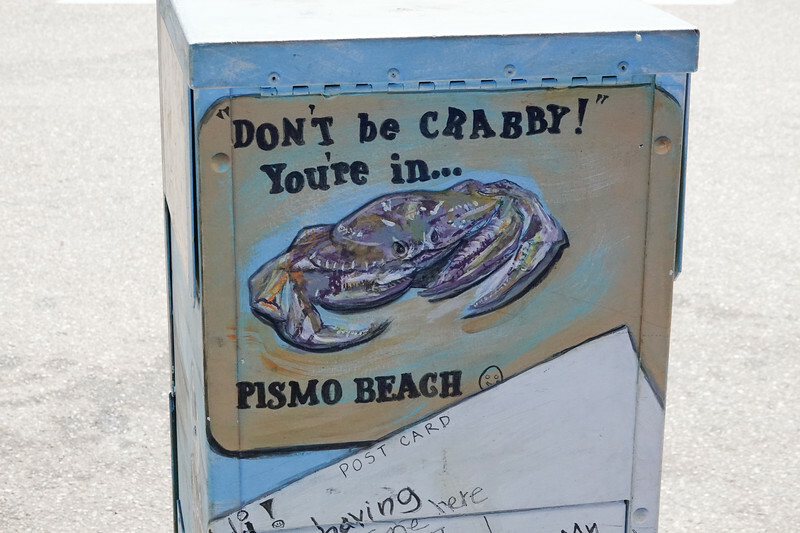 Clams are the symbol of Pismo Beach, which once claimed to be the clam capitol of the world. 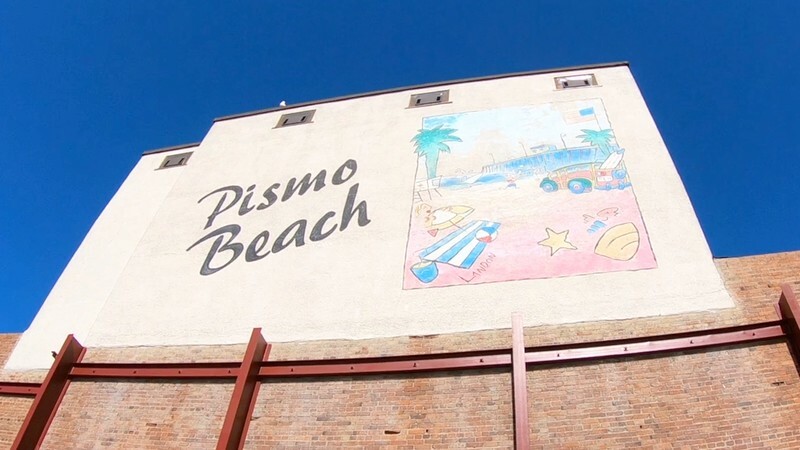 In the 1990s, clams started disappearing from Pismo, but clams remain as the mascot. 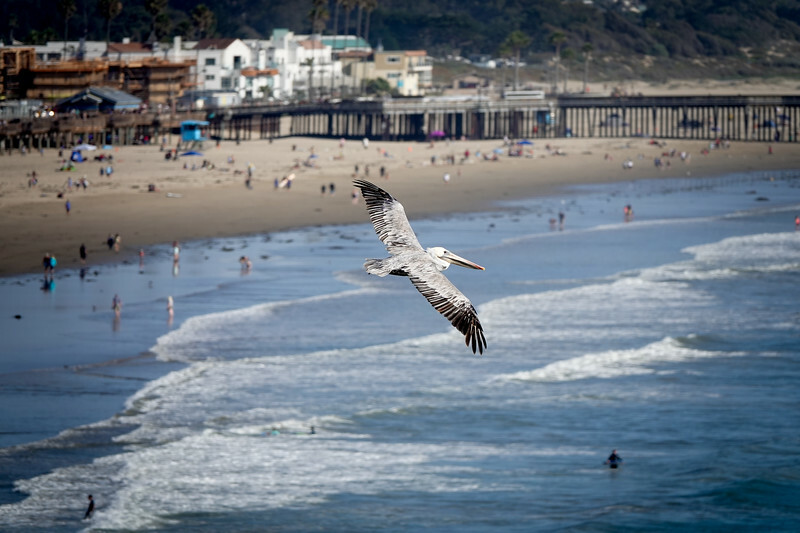 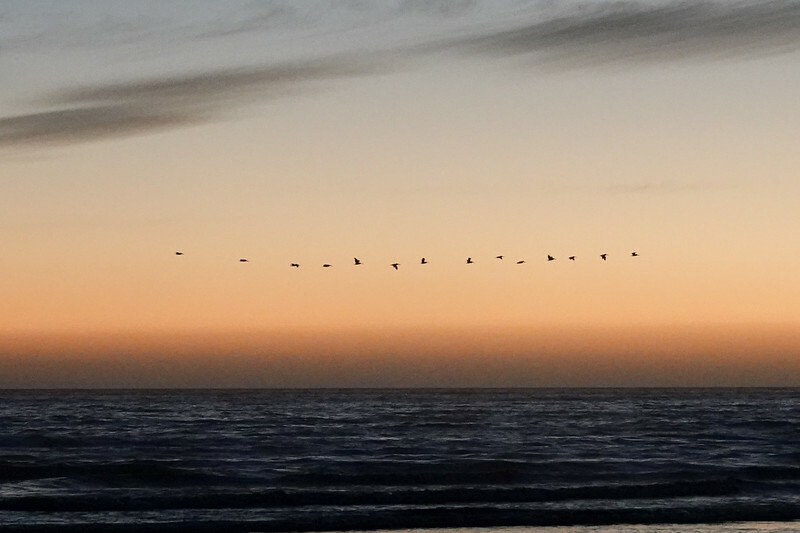 Pelicans are plentiful in Pismo Beach. 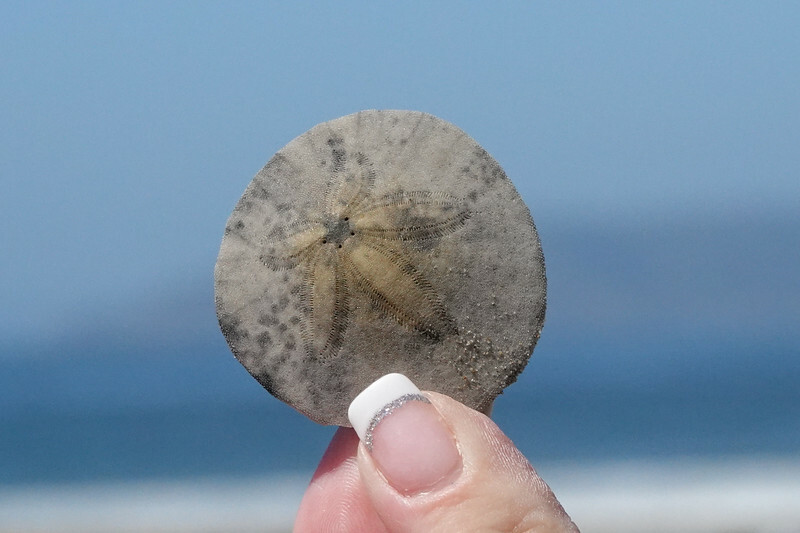 Here's a collection of them. 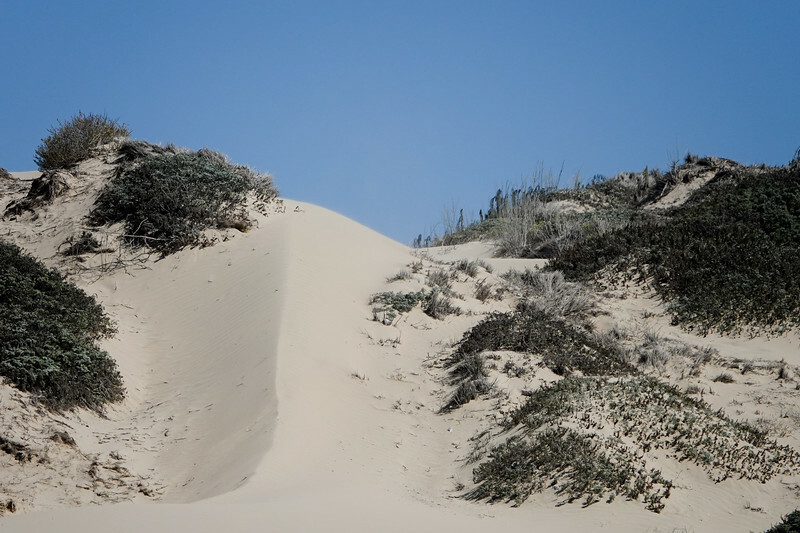 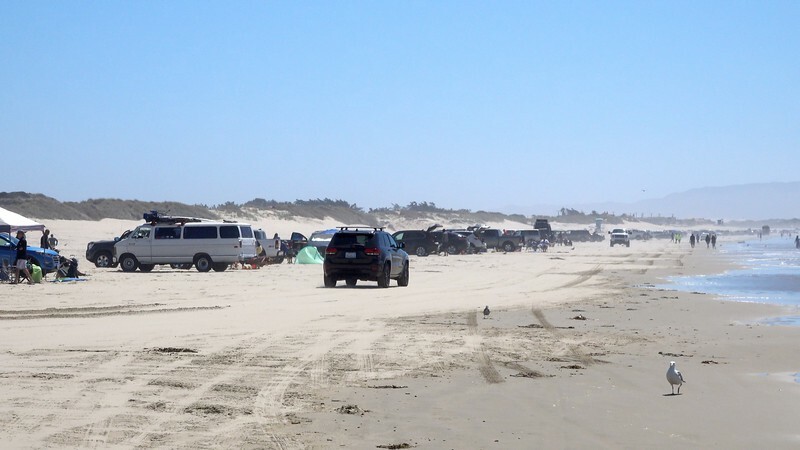 The nearby dunes in Oceana, where cars are allowed to drive on the sand.